Plump, juicy strawberries coated in sweet chocolate are impossible to resist. Chocolate covered strawberries are an attractive addition to any table. Find tips and advice on how to make these delicious strawberries. Rinse strawberries and dry completely. 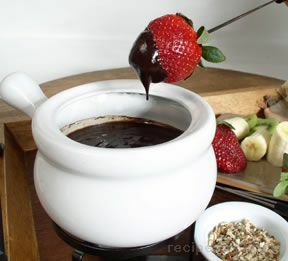 Melt chocolate in microwave or double boiler, stirring occasionally, until smooth. Mix in half and half and vanilla. Remove from heat. Push a toothpick into the stem end of the strawberries. 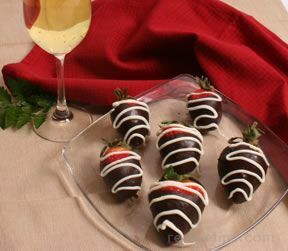 Dip strawberries into the melted chocolate. Turn strawberry upside down and push the toothpick into a styrofoam block so the chocolate will dry evenly. Allow to set. 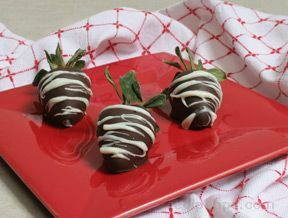 Melt white chocolate and drizzle over the dipped strawberries. Allow to set and serve. 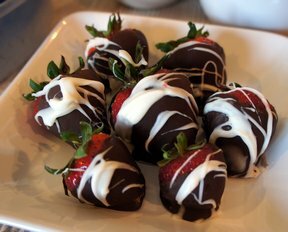 "I had to make chocolate covered strawberries for my granddaughters wedding shower and so I tried this recipe. They were fun and easy to make. My granddaughter loves strawberries so she thought these were perfect for her shower."